If you are new to the world of internet marketing, or perhaps just want to up your game, then there are a variety of actions you can take to improve your success. Some of these steps can be implemented quickly while others will take a bit more persistence. However, building and implementing an online marketing strategy is a great way to get your company noticed in 2018 – and beyond. 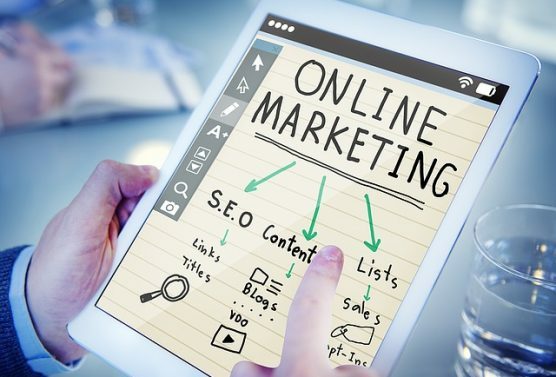 Internet marketing is not a new tactic in the world business promotion, but it is often one that is viewed as mysterious or perhaps best left only to the pros. But it doesn’t have to difficult. The key is to invest time in developing a strategy and implementing it. Know your audience, and target your content- be it blogs, social media campaigns, AdWords, etc. towards them. Then craft your content to reach those specific conditions (age, demographic, gender, etc.). Think about your goals for your internet marketing. Whether it is gaining more site guests, boosting sales, or better social media engagement, having a clear plan of approach is a must for anything to be successful. Consider setting both short and long-range goals so you can craft a plan where you can see results. Know what your budget is, then create an approach that works with it. Establish yourself as a leader in your industry. Do this through everything from social media posts and vlogs to being a part of community events where you then post pictures of the event and tag those involved. Be sure your website is SEO optimized. If you have not ensured your website is search engine optimized recently, then now is a good time to do. There are a variety of tools available to help with this, or one of the Page Progressive team members can help you assess your site. Cross promote. Don’t just focus on blogging or social media. Use as many channels as possible to drive business to your website and your brick and mortar location. Keep your audience happy. Don’t blow up people’s inbox with spammy emails rife with words like “Free” “Act Now.” Most consumers have become pros at ignoring these types of mail. Provide educational, inspirational or even behind-the-scenes information that gives people something of value. Then, if you are doing this well, you can occasionally include a promotional element about a product, a class or other endeavor to is designed to get their buy in. Be sure that all components of your web presence are mobile friendly. After all, the average consumer spends more time surfing the web via a handheld device than on a laptop or desktop. Don’t forget to pay attention to your analytics. Sometimes, it might be necessary to make changes to your internet marketing approach. Keeping up with analytics will help you determine what/where changes may be needed. Internet marketing is a practical way to get your name and services in front of people. You can do it yourself or hire a team like the Page Progressive online marketing pros to draft an approach based specifically on your needs and goals. To learn more about how internet marketing can benefit you contact us today for a free 30 minute consultation.